The Honda Civic is a modern masterpiece, and a certified pre-owned or used 2013 Honda Civic is no exception to the high quality and standard set by this iconic model. The 2013 Honda Civic was refreshed and redesigned from earlier models, bringing new styling and technology to the model. 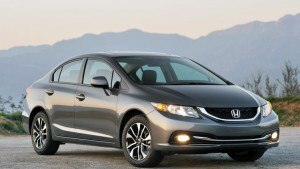 With a higher-end look and feel from its predecessors, a certified used 2013 Honda Civic continues to stand the test of time and remain luxurious from the outside in. With a 1.8L base engine, variable timing and 140 hp @ 6500 rpm, a preowned 2013 Honda Civic used has the power you need behind the wheel to get where you need to be. With sedan and coupe options you’ll find the styling and size you crave in a Civic; from a roomy, family-friendly sedan to a compact coupe for city driving.